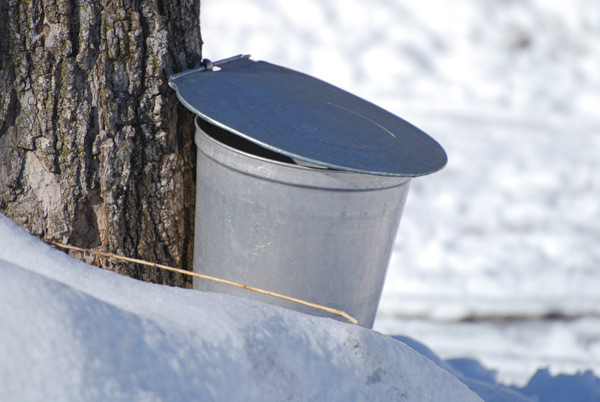 The basic process of tapping maple trees to collect the sap and then boiling it down to make maple syrup and sugar has been around for centuries. The Native Americans were the first to recognize the sap as a source of energy and nutrition. They would make V-shaped incisions in the trees, then would insert reeds or concave pieces of bark to run the sap into buckets made from birch bark. The first white settlers and fur traders introduced wooden buckets to the process, as well as iron and copper kettles. In the early days of colonization, it was the Natives who showed French settlers how to tap the trunk of a tree at the outset of spring, harvest the sap and boil it to evaporate some of the water. 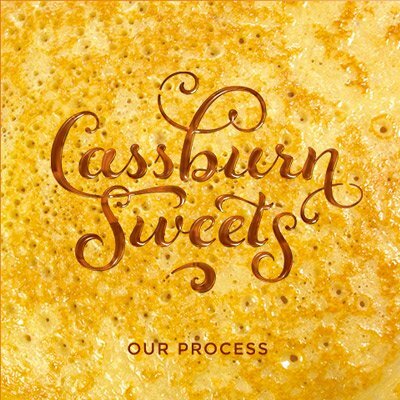 This custom quickly became an integral part of colony life and during the 17th and 18th centuries, syrup was a major source of high quality pure sugar. Later, however, they would learn to bore holes in the trees and hang their buckets on home-made spouts. 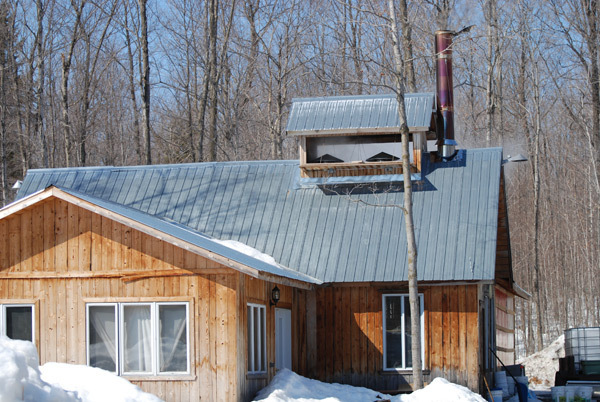 At our farm, the maple sap is collected in buckets and by way of an intricate network of pipeline that brings sap from the tree to the holding tanks and processing area. The sap, which comes out of the tree with a sugar content of approximately 2 brix, is boiled until it reaches between 66 brix and 67.5 brix of sugar content. 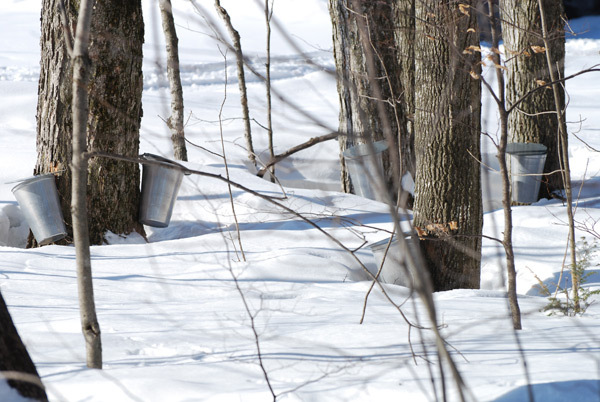 It takes approximately 40 litres of maple sap to make 1 litre of maple syrup. 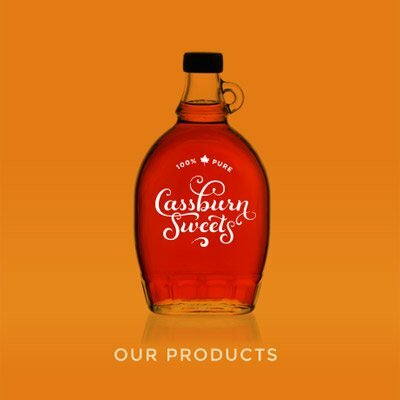 Maple syrup is a completely natural product, full of minerals and plant proteins, with no additives. 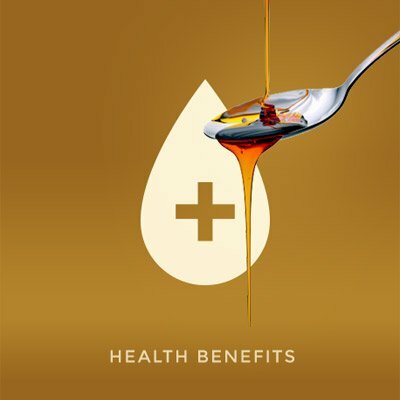 Much research is currently underway to determine the benefits of this natural sweetener and flavour enhancing product to human health. 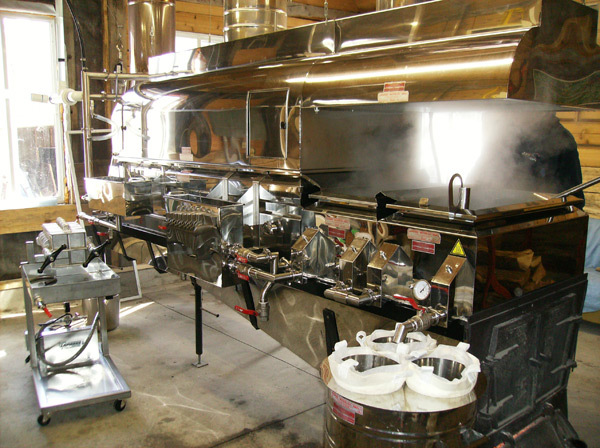 We also process the maple syrup into other products such as maple candies, maple butter and maple sugar.